There are a number of errors in Tables 1 and 2. The corrected versions are provided in this Correction article with the corrections given in bold. Frameshift mutation (p.Gln282Thr fsx83*) and (p. Lys (AAA) 48Arg fs9*) are the novel compound heterozygous mutations which have manifested deletions along with frameshift defects” should in fact read “Frameshift mutations (p.Thr283Arg fs138*) and (p. Lys (AAA) 48Arg fs9*) are the novel compound heterozygous mutations which have manifested deletions along with frameshift defects. Identified novel and reported mutations in three genes of fibrinogen. The letter A and B with patient code designate the sibling status, i & ii shows mutation identified in same patient but in different genes, € (repor`ted mutation) c (complimentary deoxyribonucleic acid), A (adenine), T (thymine), C (cytosine), G (guanine), Lys (lysine), Arg (arginine), Tyr (tyrosine), Pro (proline), Trp (tryptophan), Thr (threonine), Gln (glycine), Cys = cystine, fs = frame shift, * stop codon number, FGA (fibrinogen Aα-chain gene), FGB (fibrinogen Bβ-chain gene), FGG (fibrinogen GƔ-chain gene. Shows the individual test values of PT, aPTT and fibrinogen (Clauss Method), consanguinity and the relationship status. Bleeding score calculated, Tosetto et al . ** Siblings, NA = not available, s (seconds). 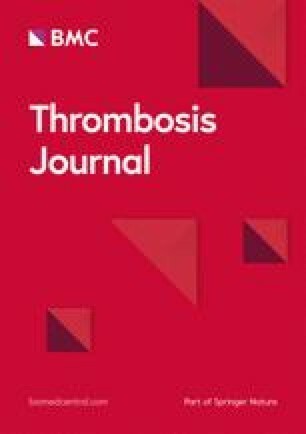 The fibrinogen levels in all patients were found to be equal to or lower than 0 .1g/l (Normal Range 2-4 g/dl), PT more than 120 s (Normal Range 9–11 s) aPTT more than 180 s (Normal Range 24–27 s) and prolonged thrombin time (normal range 10–13 s). Ethnicity explains the frequency of majorly affected, thickly populated and largest province of Pakistan (Punjab).